You may come to us with questions. You might even be afraid. We will create a safe and welcoming place for you to explore your questions, options, and needs. Counselling services are non-judgemental and confidential. Envision believes in client-centered counselling; you decide what issues you will work on. We won’t force you to do something you’re not ready for; we’ll build on your strengths. Counsellors will provide support in the areas of safety, empowerment, self-esteem, assertiveness, healthy expressions of feelings, coping strategies, problem solving, and conflict resolution. We believe that counselling represents an opportunity for personal growth and for recognizing unique qualities, abilities, and strengths, which enable individuals to see their true potential. Our focus is your happiness and well-being. We will work together to help you improve your life. Through our Interpersonal Violence and Abuse Program, we provide counselling for individuals affected by abuse, including survivors of sexual assault, adult male and female survivors of childhood abuse, those who have experienced trafficking or sexual exploitation, domestic violence, dating violence, stalking/harassment, older person abuse, and family violence. You do not have to be physically abused to seek services. 80% of our clients come in for counselling as a result of other forms of abuse (ie. emotional or verbal abuse). We also offer support to individuals who are in supportive roles to the survivor, such as parents, partners, relatives, and friends, as they may be affected by the abuse as well. When you come to Envision, you may not know what’s wrong but you know something is not right with how you’re feeling. We help those whose lives have been impacted by abuse whether it be emotional, physical, verbal, sexual, financial or spiritual. We also offer support groups for individuals who have had similar experiences. Through our Family Intervention Program, we provide immediate assessment, support, and crisis counselling to individuals, couples and families experiencing an event or situation that is overwhelming or traumatic for the family. Our goal is to strengthen you and your family unit by empowering family members to improve the quality of their personal and family lives. Your family may suddenly experience an event or situation that is overwhelming or traumatic. These challenges include relationship breakdown, separation or divorce, parent and child/teen conflict, blended family struggles, loss and grief. We provide a non-judgemental place where a counsellor will listen, offer support, and help develop a plan to move forward. Through therapeutic counselling, we can help to stabilize your family and strengthen your relationships with each other. Through our Children Exposed to Violence Program, we provide individual counselling for children and youth aged 5-18 who have witnessed violence, as well as parenting support for caregivers of children and youth. Children Exposed to Violence refers to children who see, hear, or are aware of violence and abuse. Through our counselling programs we provide individual counselling for teens over the age of 14 who are experiencing issues related to relationships and family, abuse and violence, and secual exploitation and assault. 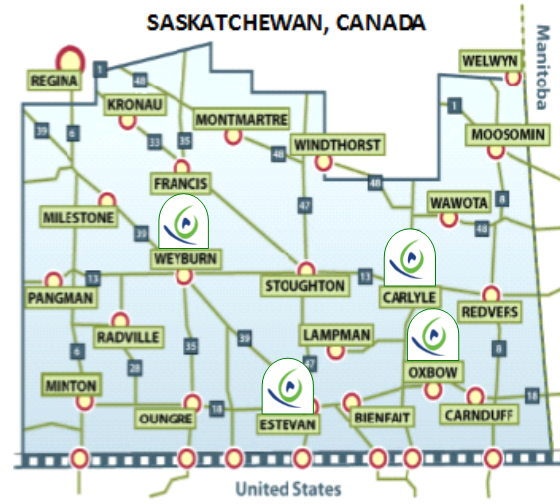 You can contact us at one of our four offices located in Southeast Saskatchewan, Canada. Our office hours are Monday to Friday from 9:00 to 5:00. Alternatively, use our “Ask a Counsellor” button located throughout our site. Rest assured that one of our counsellors will be the only one to see your message, and will reply to you in a timely manner. There are no fees for our counselling services as we are a community-based organization funded by the Ministries of Justice, Ministry of Social Services, United Way, and private donations. Referrals – No referral is necessary for retaining counselling services at Envision Counselling and Support Centre. Referrals for counselling may be given by lawyers, educators, courts, and/or healthcare professionals. Individuals may self-refer by calling the office in Estevan, Weyburn, Oxbow, or Carlyle during office hours. A plan for ongoing support after counselling has ended.